Zukauskaite R, Hansen CR, Brink C, Johansen J, Asmussen JT, Grau C, Overgaard J, Eriksen JG. Analysis of CT-verified loco-regional recurrences after definitive IMRT for HNSCC using site of origin estimation methods. Acta Oncol. 2017 Aug 22:1-8. Lyhne NM, Johansen J, Kristensen CA, Andersen E, Primdahl H, Andersen LJ, Oksbjerg S, Overgaard J. Incidence of and survival after glottic squamous cell carcinoma in Denmark from 1971 to 2011-A report from the Danish Head and Neck Cancer Group. Eur J Cancer. 2016 Mar 22;59:46-56. Rønjom MF, Brink C, Lorenzen EL, Hegedüs L, Johansen J. Variation of normal tissue complication probability (NTCP) estimates of radiation-induced hypothyroidism in relation to changes in delineation of the thyroid gland. Acta Oncol. 2015 Jan 28:1-7. Mortensen HR, Overgaard J, Jensen K, Specht L, Overgaard M, Johansen J, Evensen JF, Andersen E, Andersen LJ, Hansen HS, Grau C; DAHANCA Group. Factors associated with acute and late dysphagia in the DAHANCA 6 & 7 randomized trial with accelerated radiotherapy for head and neck cancer. Acta Oncol. 2013 Oct;52(7):1535-42. Rønjom MF, Brink C, Bentzen SM, Hegedüs L, Overgaard J, Johansen J. Hypothyroidism after primary radiotherapy for head and neck squamous cell carcinoma: Normal tissue complication probability modeling with latent time correction. Radiother Oncol. 2013 Jul 25. Pagh A, Vedtofte T, Lynggaard CD, Rubek N, Lonka M, Johansen J, Andersen E, Kristensen CA, von Buchwald C, Andersen M, Godballe C, Overgaard J, Grau C. The value of routine follow-up after treatment for head and neck cancer. A National Survey from DAHANCA Acta Oncol. 2013 Feb;52(2):277-84. Lyhne NM, Christensen A, Alanin MC, Bruun MT, Jung TH, Bruhn MA, Jespersen JB, Kristensen CA, Andersen E, Godballe C, Buchwald C, Bundgaard T, Johansen J, Lambertsen K, Primdahl H, Toustrup K, Sørensen JA, Overgaard J, Grau C. Waiting times for diagnosis and treatment of head and neck cancer in Denmark in 2010 compared to 1992 and 2002. Eur J Cancer. 2013 May;49(7):1627-33. Mortensen HR, Overgaard J, Specht L, Overgaard M, Johansen J, Evensen JF, Andersen LJ, Andersen E, Grau C. Prevalence and peak incidence of acute and late normal tissue morbidity in the DAHANCA 6&7 randomised trial with accelerated radiotherapy for head and neck cancer. Radiother Oncol. 2012 Apr;103(1):69-75. 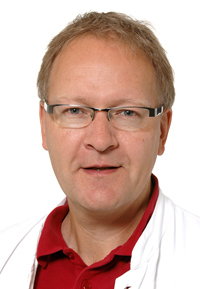 Lassen P, Eriksen JG, Krogdahl A, Therkildsen MH, Ulhøi BP, Overgaard M, Specht L, Andersen E, Johansen J, Andersen LJ, Grau C, Overgaard J The influence of HPV-associated p16-expression on accelerated fractionated radiotherapy in head and neck cancer: Evaluation of the randomised DAHANCA 6&7 trial. Radiother Oncol. 2011 Mar 21.